David J. Zumpano, CPA, Esq. How does a personal care plan differ from a healthcare proxy, healthcare power of attorney or a living will? There are two distinctions between the various healthcare directives offered; One, grants authority, expression of personal wishes. A healthcare proxy or healthcare power of attorney grants legal authority to someone else to make medical and healthcare decisions on one’s behalf. A living will and personal care plan, on the other hand, are a mere expression of the wishes one would like to have happen in the event of their inability to make their own healthcare or medical decisions but does not grant authority to anyone to do anything. It is also important to further distinguish the difference between a living will and personal care plan. A living will traditionally identifies as want end of life healthcare preferences. Typically these relate to resuscitation, blood transfusions, incubation, and the like. Typically one initials each treatment you do not want or signs an overall statement states none be performed. The shortfall of a living will is it only deals with "end of life" medical decisions. A personal care plan, on the other hand, identifies your preference regarding lifetime care, after one becomes unable to make their own decisions. A personal care plan also expresses wishes for attending family events and the terms and conditions of attending them. Most provide that, in attending family events, they are not a "burden" to their loved ones and are able to "derive enjoyment" from it. A personal care plan also provides instructions regarding end of life and integrates all wishes expressed with the authorities granted in the healthcare proxy or healthcare power of attorney. A properly drafted personal care plan also addresses the client's feelings on organ donation, and even funeral and burial instructions. Another great use of personal care plans are for disabled children, created by their parent or guardian to ensure their needs are provided after the parent’s ability to do so. If you want to learn more about Lawyers With Purpose and what we have to offer, join our Thursday, March 12th at 4EST or 7EST for our "Having The Time To Have It All... 3 Time Strategies To Have A Practice With Profit And Purpose". If you're a Lawyers With Purpose member you already have access to this information on the members website! Does Lack Of Time Inhibit You From Helping More People? Many successful lawyers I have worked with over the last 15 years have a common theme: they are passionate about what they do. That doesn't mean they always do it efficiently or effectively, but they never give up and are absolutely determined to help people. The biggest challenges for most, however is having enough time in their day. Time to get the work done, time to market, time for their family, time to manage their team time to do what they enjoy most, etc., etc., etc. That's why I invite you to a one hour interactive webinar on Thursday March 12th at 4PM EST and then again at 7 PM EST entitled “Having the Time to Have it All - Three Time Strategies to Have a Practice with Purpose and Profit”. I will show you three tried and tested time strategies to get a practice that allows you to help more people and be profitable at it. In this one hour webinar, you will learn how all entrepreneurs (including billionaires) have the same amount of time in the day as you and I, and how they use it differently. I have been able to create a law practice that serves thousands of clients who thank me everyday and refer their friends. Interestingly, as my practice grew, the time required for me to be in it actually decreased by utilizing these strategies. It will give you the confidence and path to create a law practice that provides estate planning, elder law, asset protection, Medicaid, veteran's benefits, special needs, and tax planning in a way that helps your clients and your community! If you have a great work ethic, you're passionate about helping people, you're approachable and treasure good relationships, CLICK HERE NOW TO REGISTER for this one hour webinar to gain the time to help more people. These time concepts will be essential to help you break through your time restrictions to help more people and create more value! I look forward to you joining me. If you're a Lawyers With Purpose member, you already have access to these strategies! Just log into the members site and it's all at your finger tips! GUEST BLOG: Are You Referring To High Integrity Financial Advisors? How well do you really know the Financial Advisors that you are referring to? Well enough to know that you are not at risk for being sued for making a negligent referral? If you are not really sure, you owe it to yourself and your clients to review the Financial Advisor’s CRD. Obtaining a CRD is easy, and free. After obtaining the broker’s CRD number from FINRA’s website, one can download a redacted version of the CRD. The redacted version of the CRD differs in several respects from an unredacted version. First, the redacted version does not provide the name of the investors who have complained about the broker. Second, the redacted version will not reflect bankruptcies that occurred more than ten years ago. It will only reflect recent bankruptcies. Third, the redacted version will not reflect whether the broker ever failed licensing exams. The easiest way to obtain an unredacted CRD is through the Florida Office of Financial Regulation. One can send an email to electronic_licensing@fldfs.com or Samantha.chambers@flofr.com . In the email, request the broker’s entire CRD, including a full legacy report. If all this is too much trouble, I will be happy to obtain the CRD for you. For my article, Use Care When Referring Clients to Professionals, go to http://www.stockbrokerlitigation.com/wp-content/uploads/2013/05/DAW-Article.pdf . Do You Have The "Time" To Be An Entrepreneurial Lawyer? A great question. Many lawyers fail to see themselves as entrepreneurs. The truth is, solo and small practitioners are entrepreneurs, but most are not operating like one. So how should entrepreneurial lawyers think? As a successful entrepreneurial lawyer, I have learned the The Key Essential element to thrive is managing our time. When you think of the most successful people; Bill Gates, Warren Buffet, or those with major responsibilities such as the President of the United States, they get it all done in the same time we have; but they are using their time differently. Most attorneys I have worked with over the last 15 years struggle with having enough time to get it all done. That's why on Thursday March 12th at 4PM EST and then again at 7 PM EST, I will share real time effective strategies that have lead to my success. It's called, “Having the Time to Have it All – Three Time Strategies to Get a Practice with Purpose and Profit”. In this one-hour webinar I will share the time strategies I utilize in my practice that grew it twenty-fold over the last seventeen years. I will also help eliminate misconceptions on time that holds you back from having the practice you're capable of having and keeps you working late night after night, day after day. Should you attend? If you are struggling with a work-life balance, struggling with how to run a law "business," or feel you do not have enough time in your day to get all the work done, then this webinar will be a great use of your time. If you are struggling with how to hire the best people and have inconsistent marketing and cash flow, this webinar is for you! What is the opportunity? Simply stated, the opportunity is for those attorneys who want to provide estate planning, asset protection, Medicaid, veteran's benefits, special needs, and tax planning to clients who need these services to protect what they've worked a lifetime to earn and to preserve the dignity they deserve. What's required to implement the information will share? To become an entrepreneurial attorney you must have a strong work ethic, really enjoy what you do and be passionate about helping people. You must also be a lifetime learner and really value relationships. That’s it! These are the essential elements that you’ll need to have on your calendar. I will show you how you can and still get your work done. Click here now to register for this time saving webinar. Even if you only utilize ONE of the three time breakthrough strategies, it will move you forward toward your quest to have the time to have it all. I look forward to sharing. If you are already a Lawyers With Purpose member, you already have access to the information. Please let us know if you have any questions and we can definitely point you in the right direction! Knowing The Breakeven Point... A Must When Pre-Planning! When pre‑planning, practitioners must strategize on two premises; (1) what the worst case scenario would be (if the client fell ill the day after pre‑planning is completed) and compare that to (2) the best case scenario, which occurs when the client stays healthy for 60 months. While crisis practitioners focus on the look back date and review of financial records for the previous 60 months, pre‑planning practitioners must focus on the date of a conveyance (uncompensated transfer) and "look forward" 60 months to determine the timeframe in which the the transfer will be in the purview of a future Medicaid application. Understanding the distinction between the look-back period and the look forward period is critical in determining the breakeven date when preplanning for future Medicaid benefits. So, what is the breakeven date? It is the date, when pre-planning, that if it is reached, it will be better to wait out the 60 months from the original conveyance date than to convert to a crisis case. The breakeven date is calculated by determining the worst case scenario and comparing it to the best case scenario. The worst case scenario is if the client fell ill the day after pre‑planning was completed. What would be the best case scenario in such an event? To determine that, you would calculate as if it were a crisis case, and determine the "minimum months to qualify", the soonest period in which you would be able to get the client eligible for Medicaid if they came in in crisis. Once you have calculated the minimum months to qualify, and then compare it to the best case scenario, if the client had stayed healthy for sixty months. The breakeven point is simply the best case minus the worst case. Restated the best case is remaining healthy 60 months (the entire look forward period) and the worst case is if it were a crisis case and you calculate the minimum months to qualify. Let's give an example. Assume a client came into you in crisis and after doing your calculations you are able to determine that you can get them qualified for Medicaid in 23 months. This is done by transferring assets and reserving enough assets to pay through the 23 month ineligibility period. It's pretty straightforward in a crisis case. Assume now the same exact client came in, but was healthy. In preplanning case you would calculate what would happen if the client were in crisis (like we just presumed) and then compare it to the best case scenario (they stay healthy 60 months). In this pre‑planning case the breakeven date would be 37 months (60 minus the minimum months to qualify of 23 months) from when the preplanning was completed. Therefore in a pre‑planning case if the need for nursing home care occurred within 37 months, you would convert the pre‑planning case to a crisis case at that time and get them qualified in 23 months. If however, the client's need for nursing home care occurred after month 37 (the breakeven point), then instead of converting to a crisis case, you would privately pay until the 60th month after the original transfer (look forward date). Sounds confusing, but it's really quite simple once you understand these new terms. To learn about these key terms join our FREE Webinar February 24th on Simplifying Medicaid Eligibility & & Qualified Transfers. Just click here to register to reserve your seat... it's 100% FREE! And you can learn how the LWP-CCS™ Medicaid software can calculate both crisis and preplanning strategies optimal to every client fact pattern: and simplify this otherwise confusing planning opportunity! Some - probably many - of you know that I have been pretty sick in the last month. In fact, I've spent 27 out of the last 32 days in the hospital. I'm home now, and hope to stay out of the hospital for a good long time to come. I want to thank Dave, Molly, Victoria, Roz and all the staff over at Lawyers With Purpose for the encouragement and kind emails I've received. That being said, the other, very real message I'd like to share is the absolute importance of getting the systems Lawyers With Purpose has for your firm into place. I know it is hard to make it happen. Believe me, I know this. But imagine yourself literally unable to go into your firm for over a month. You didn't prepare for this to happen. Would your business survive, even thrive? I worked very hard to get my systems in place in the last two years. Despite being a Kolbe very high Quick Start and low Follow Through, I was almost fanatical about it because I knew I wouldn't be able to make things work if I didn't! We had things running like a pretty well-oiled machine, I have to say. Some bumps, but nothing is ever perfect. That being said, I never would have imagined that I'd be out for almost a month and a half with no preparation and that despite this, my office would continue to run, and be profitable. I could not have even conceptualized this, to be honest. Yet it did! My staff, with the systems in place, was able to manage our caseload and continue to bring clients in the door. It wasn't the best month we ever had, but it also wasn't the worst either. Even now, there are still clients coming in from our systematic approach to both referral and retail marketing, and with some minor tweaks we are able to bring them in with my involvement being relatively minimal. It is truly amazing. I share this because I know how hard it is, at times, to make the changes necessary and pushed through Coaching, Consulting & Implementation. But seriously - I can't imagine how I would be able to stay home and recover at this point if we hadn't done the necessary work to get those systems in place and keep my staff independent enough to continue to bring in business and pay the bills. If you're struggling with implementation I hope this gives you new incentive to make it work. Do it for yourself and your family. It is worth it!!!!!!!! First Four Memberships FREE For Joining This DocuBank Webinar! Sign up for this exclusive LWP webinar to learn about how you can enhance your firm and protect your clients with DocuBank. When you attend this webinar, your first four memberships will be FREE. 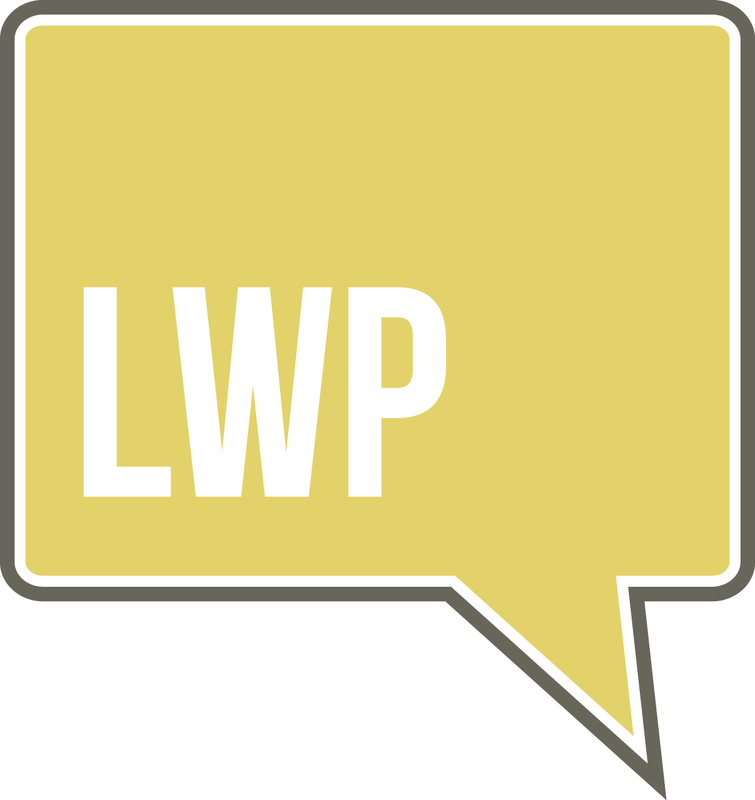 Lawyers With Purpose members enjoy a substantial discount, waived setup fee, and turnkey implementation thanks to LWP software integration. DocuBank is the leading document-access solution utilized by thousands of estate planning professionals across the country. Clients receive an Emergency Card for 24/7/365 access to their advance directives and an online SAFE for convenient access to their entire estate plan. You'll also learn about the numerous integrated marketing features for your firm including ongoing touches with your clients that help solidify your lasting client relationships. Join us Tuesday, February 17th at 2:00 EST. Click here to register now. A major question comes up often during estate planning for seniors in determining what to do with the primary residence. There are many choices, but the actual selection will depend heavily on the ultimate goal of the client. Typical client goals include basic estate planning, probate avoidance, home management in the event of incompetency, benefits planning (Medicaid/VA), asset protection planning, and estate and income tax planning. Let's review strategies in each of these situations. The most common form of ownership of the primary residence by a husband and wife is as tenants by the entirety or similar legal ownership. By state law, this provides asset protection during life as 100 percent of the property will convey to the surviving spouse without any liens attached by a deceased spouse’s liabilities. Obviously for single individuals no asset protection is provided and non-spousal joint tenancy may protect the assets for the surviving joint tenant, subject only to Medicaid and IRS's right to recovery. The most typical funding strategy is to transfer the primary residence to a revocable living trust (RLT) to avoid probate. Some states also allow payable-on-death deeds (ladybird deeds) or heirship deeds. While funding the home to a revocable trust or these other strategies avoid probate and could provide post death asset protection (RLT), they do not effectively provide protection "during life". Another primary strategy is to convey the home to an irrevocable trust. These are typically done when clients are interested in estate tax savings or asset protection. The primary question relates to whether the irrevocable trust is a "grantor trust" or a "non-grantor trust” for tax purposes. Traditionally, estate tax reduction trusts are non-grantor trusts and the home would maintain its "carry over tax basis" to the beneficiaries of the trust thereby creating a capital gains tax on the difference between the sales value and the original price paid by the grantor who conveyed it to the trust. In contrast, a grantor trust that retains rights that include the value of the irrevocable trust in the estate of the deceased grantor, would receive a "step up" in basis after the death of the grantor. While these serve estate and income tax needs, they often may conflict with benefits planning, such as for Medicaid and/or veterans' benefits. In addition, one must be cautious in conveying a principle residence to a RLT or irrevocable trust as it could defeat any real property tax exemptions. The client is eligible for when the property is owned in the client’s name. You need to confirm with your local assessor on the impact of the credits upon funding the home to the trust chosen. Medicaid and veterans' benefits, on the other hand, have additional restrictions above and beyond the tax and legal restrictions regarding trusts. Putting a personal residence in an irrevocable trust for Medicaid can provide asset protection during lifetime but doing so creates a uncompensated transfer which affects future eligibility. Another question in funding the personal residence is whether to retain a reserved life estate in the deed and convey the remainder to the trust or to convey the whole residence to the trust and maintain a right for the grantor to live there inside the trust document. This is often avoids the loss of any real property tax credits but if the home is sold during the grantor’s lifetime, then the grantor's pro rata ownership (lifetime interest) proceeds would be considered “available” in determining the grantor's ongoing Medicaid eligibility. In contrast to Medicaid planning, planning for VA benefits has additional considerations. A veteran can convey their home to an irrevocable “grantor” trust without consequence. The caution, however, is if the residence is sold during the grantor's lifetime and converted to an income producing asset (cash, stocks, ect.) it would thereafter trigger the asset value in determining the veteran's future benefit eligibility. Click here to register. We'll see you then!